From 1st July 2018, comprehensive credit reporting (CCR) will become mandatory, meaning banks will be forced to share detailed positive and negative financial history with other lenders. Currently, most lenders only share negative information such as credit applications, defaults, overdue payments, bankruptcy and judgments. Under the new regime, they will now also have to share positive information, such as when you made all your repayments on time. With CCR a more complete picture of an individual’s credit profile can be held on their credit file. While some may raise concerns over the increased amount of personal financial information being given to parties with whom they have not had past dealings, the benefits of positive reporting will mean that it won’t take as long to establish a positive credit rating, and it will make it easier for customers to show that they’ve recovered and stabilised their situation after a negative event. The introduction of positive information means a history of making regular payments, repaying a loan early or closing unused accounts, can help a borrower demonstrate their creditworthiness and ultimately be rewarded with a better deal from lenders. 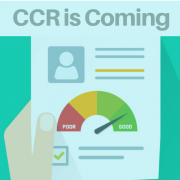 Along with bringing positive changes for both lenders and clients, Australia switching to CCR will bring our credit reporting system in line with other OECD countries, many of which already having some form of positive credit reporting. As property prices continue to rise, purchasing in a centrally-located or sought-after area is getting out of reach for the average working millennial. Instead, many are opting to rent rather than buy as it means not having to compromise their inner city or beach side lifestyle. But for those who are still eager to enter the market, there is a way to get the best of both worlds. The Reserve Bank has left interest rates unchanged at the historic low of 1.5 % for the 20th consecutive meeting. The current holding pattern is the longest stretch without a move, with the RBA last changing rates with a 25 basis point cut in August 2016. The decision was of little surprise, with the market pricing no chance of a move. RBA governor Philip Lowe maintained both the domestic and global economies were gaining strength. Following a spate of stronger-than-expected data, economists have upgraded the consensus GDP growth forecast, to be released to tomorrow, to about 2.8 % year-on-year for the first quarter. While increased government spending on infrastructure and a stronger contribution from the export sector had helped boost the RBA’s confidence, household spending remained a worry. “Household income has been growing slowly and debt levels are high,” Dr Lowe said. The statement was largely unchanged, apart from acknowledging lending conditions were likely to tighten. “We think there’s a real risk that tighter credit conditions could crimp GDP growth and contain price pressures,” Mr Dales said. Indeed.com economist Callum Pickering said raising rates would be particularly risky right now given house prices are falling steadily in both Sydney and Melbourne, geopolitical risks are ever present, and retail sales growth remains disappointing. 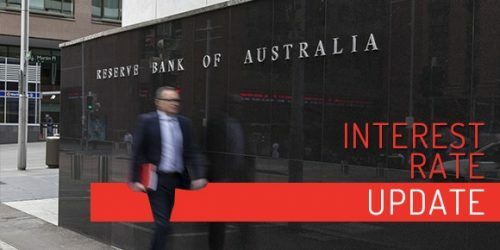 “The banking royal commission also raises the prospect of tighter lending conditions and out-of-cycle rate hikes by the major banks,” he said.